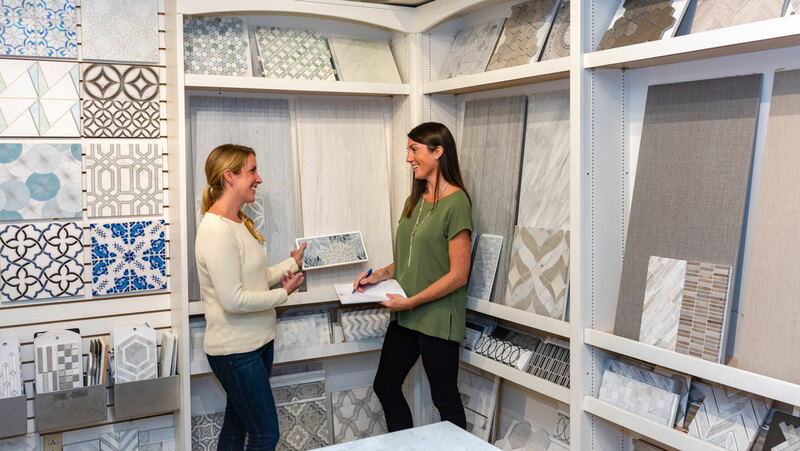 We offer in-store design services to help guide you through the process of selection, designing and planning. We can assist in material and color selections to coordinate with existing elements or features in your space. We will walk you through the selection of grout colors and finishing details to make your tile work look custom and well thought through. We can help you visualize your space with renderings of your selections and tile design layout. To make the most of your appointment bring…. Inspiration, samples, and measurements! Schedule your one-on-one design consultation with us today!